Anticipating accelerating climate change-fueled disasters in the coming decades, telecommunications giant AT&T recently partnered with Argonne National Labs to build a three-decade model called a “Climate Change Analysis Tool” to help forecast the devastating impact of climate change on the company’s infrastructure and business on a level that details down to the individual neighborhood. Extreme weather that results from climate change has a direct impact on the bottom line of giant companies like AT&T when physical infrastructure is destroyed. In the last three years, AT&T has spent $847 million on disaster recovery according to Fast Company. While casting doubt on climate change has become a mostly right-wing politically polarizing tactic around the western world, the global scientific consensus has long been that human activity is driving climate change. It’s not a theoretical idea: 2018 was the fourth-warmest year on record. The five warmest years ever have been the last five years. Eighteen of the 19 warmest years ever have occurred since 2001. Climate change is real and it’s here now. AT&T, the world’s biggest telecom company, recently released a report titled “Road to Climate Resiliency” showing total damage to American infrastructure in 2017 added up to $306 billion, the worst year ever. 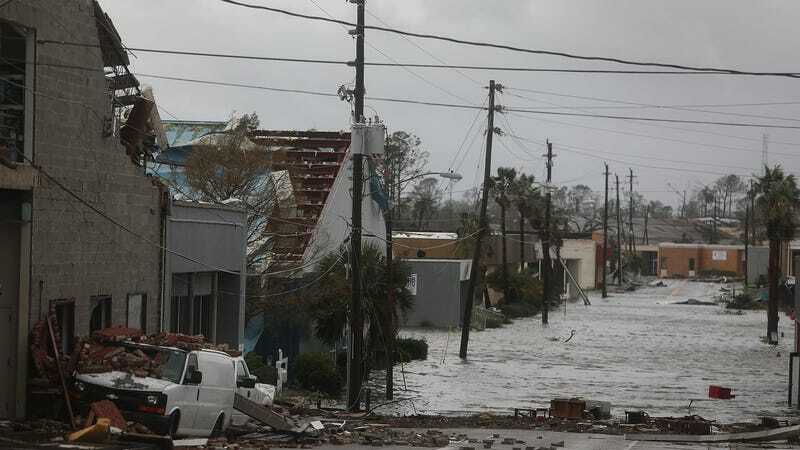 The result is models and maps that outline potential disasters resulting from extreme weather and its consequences like flooding and high winds focusing in particular on the southeastern United States, a region regularly pummeled by extreme weather. Argonne’s climate modeling data and mapping tools let AT&T look decades into the future of impending extreme weather and climate change-fueled events like sea-level rise. The extreme weather is already here, now it’s a question of preparation. A 2018 study found that over 4,000 miles of fiber optic cable buried along American coastline could be underwater by 2033, a number that will call into question internet access in coastal cities from New York to Miami. Impact of 50 year floods in the southeast United States. Correction: As a result of a typo, a previous version of this article misstated that AT&T spent $847 billion on disaster recovery since 2016. The correct amount is $847 million. We regret the error.